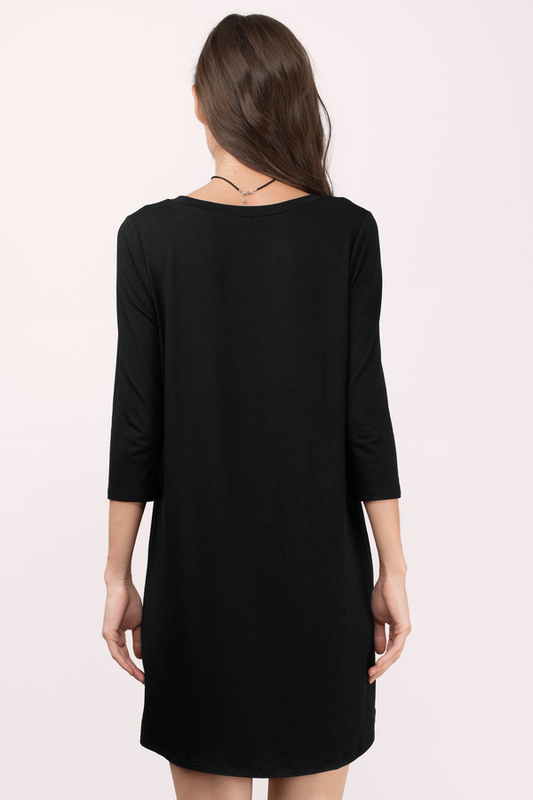 Check out Tobi's Out Of My Memory Tunic Dress There's nothing like a new t-shirt dress that you can take anywhere. 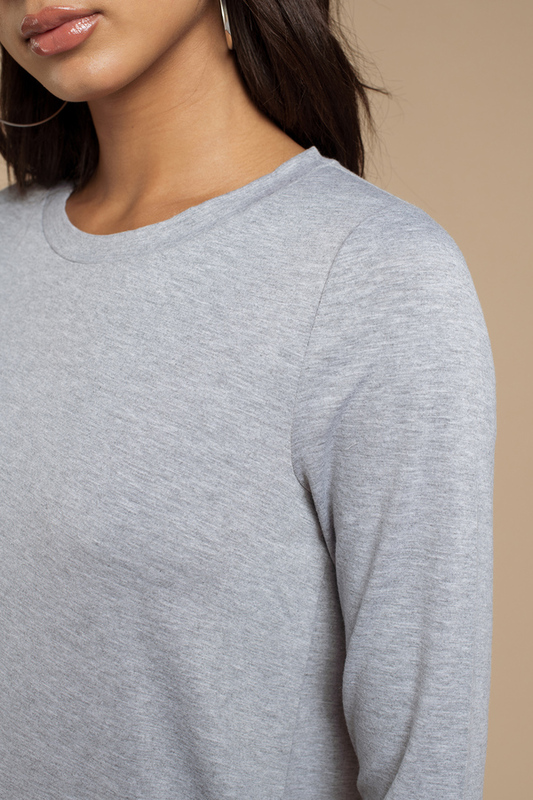 The Heather Grey Out Of My Memory Tunic Dress is a high low dress in a soft stretch rayon knit with a boat neckline and 3/4 sleeves. With its swing shape, this day dress pairs well with booties and your first PSL of the day. There's nothing like a new t-shirt dress that you can take anywhere. The Heather Grey Out Of My Memory Tunic Dress is a high low dress in a soft stretch rayon knit with a boat neckline and 3/4 sleeves. With its swing shape, this day dress pairs well with booties and your first PSL of the day. There's nothing like a new t-shirt dress that you can take anywhere. 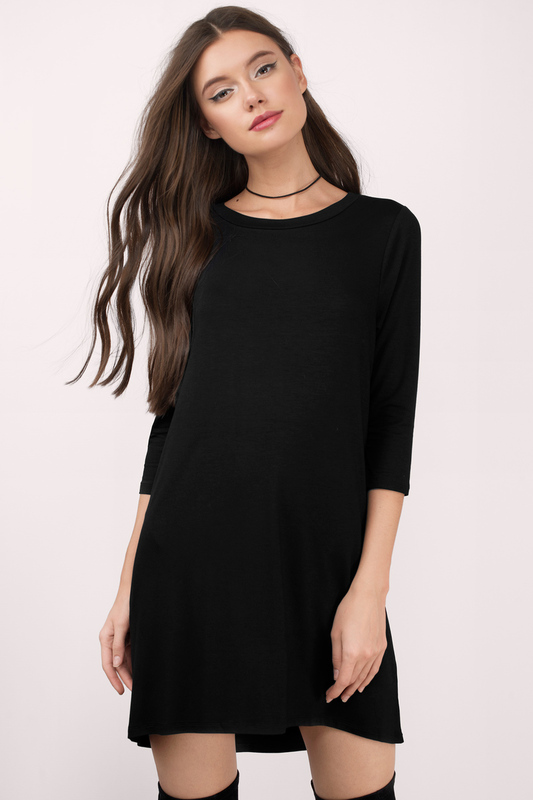 The Black Out Of My Memory Tunic Dress is a high low dress in a soft stretch rayon knit with a boat neckline and 3/4 sleeves. With its swing shape, this day dress pairs well with booties and your first PSL of the day. There's nothing like a new t-shirt dress that you can take anywhere. 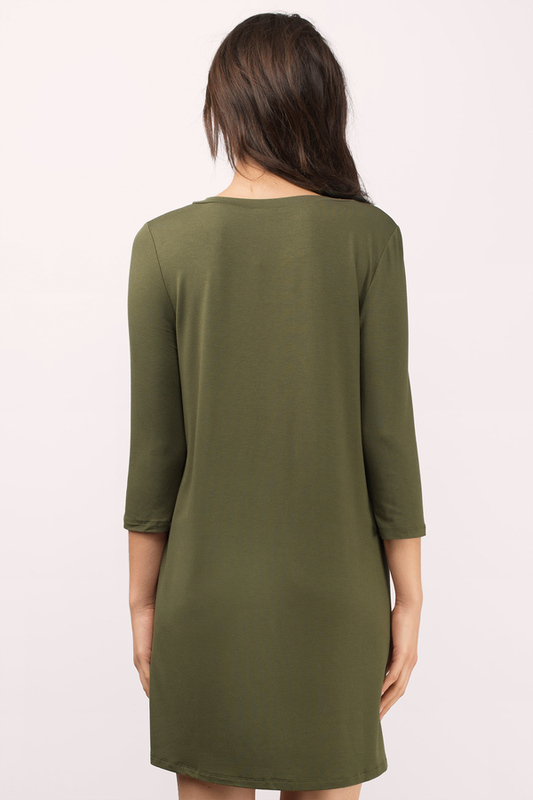 The Olive Out Of My Memory Tunic Dress is a high low dress in a soft stretch rayon knit with a boat neckline and 3/4 sleeves. With its swing shape, this day dress pairs well with booties and your first PSL of the day.